At a certain point, objects that surround us are embedded with value by the mere fact of being hoarded and therefore the subjects of custody and conservation. This theory equates the "value" of exchangeable goods or services, commodities or artworks with the amount of attention they require and accumulate. Avidity is therefore culturally moulded both by the intensity and duration of the yearning and its subsequent gratification. Understanding these mechanisms is crucial to intervening in social metabolism patterns and the circulation of transformed resources. Reclaimed sculpture 2 , from the "2nd Chance Series". 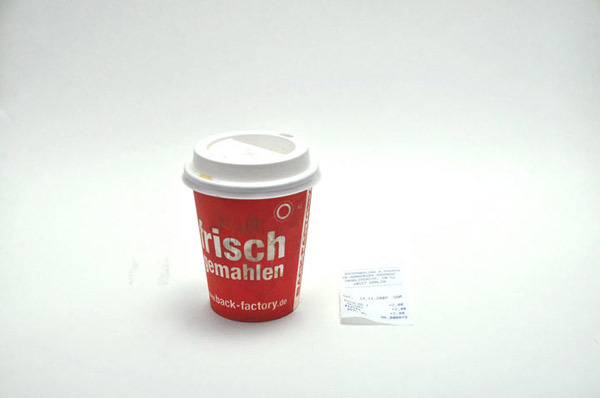 Pencil on disposable paper cup, paper ticket. Reclaimed the 23/11/2009. Since then, until 21/12/2009 it was carried with me . The picture was taken when left and displayed for exhibition, same date 21/12/2009. Reclaimed sculpture 1 . 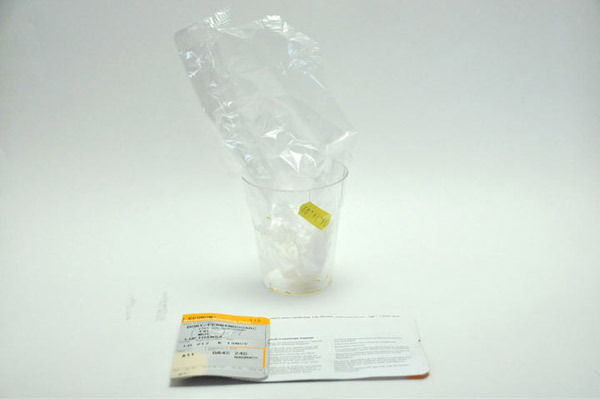 Plastic wrap and price label, cup, pencil on paper boarding pass. In 18/11/2008 it was reclaimed. Since then, until 21/12/2010 I carried it with me . The picture was taken when left and displayed for exhibition, same date 21/12/2010.